Every year around this time as the weather gets colder, my skin always gets dry, especially my face, hands and feet. Luckily, this December has been pretty warm, so far, with some days in the 60’s, but soon enough it will be dry skin season and I’ll be using all of these home remedies for dry skin! I get cold easy and even other people say the temperature in the house is fine, you can see me sitting by my little electric portable heater. The downside though, is that I’ve noticed whenever I do, my skin becomes even drier! It must be because the electric heater strips the moisture from the air even more. So, I’ve stopped using the electric heater and figured out some ways to naturally prevent my skin from becoming dry this winter season. There can be many causes of dry skin. You may naturally have dry skin all year long, or it can be due to products you are using such as soaps that strip your skin of natural oils, or it may just be seasonal, happening only in the colder months. Typically your skin is the driest in the winter because as the temperature gets colder, the level of humidity also decreases. Low humidity levels can also be the cause of dry skin if you live in a desert region. My dry skin always gets worse in the winter and have to start increasing my use of all of these home remedies for dry skin to combat it. Not only does the low level of humidity outside in the winter cause dry skin, but it occurs with indoor heating. Heating, whether it be electric, base board or natural gas, strip the moisture from the air which results in a loss of moisture from your skin. Some types of heating can be more drying than others. After much research, I found that the most drying types of heating are electric and natural gas. The best type of heating is hot water base board as it doesn’t cause as much loss of humidity in the air. Another common cause of dry skin is taking long hot showers. This can dry out your skin’s natural oils. Instead, try to keep the shower temperature closer to lukewarm water. – Natural oils are a great way to moisturize your skin and can be used in place of a moisturizer. My favorite oil for moisturizing is coconut oil. However, if you have acne prone skin, I would not use coconut oil on your face as it is rated as slightly more comedogenic. The best oils to use for acne prone skin are rated a zero on the comedogenic scale and these are jojoba oil and hempseed oil, both of which work great to moisturize your skin! I always keep both jojoba oil and hempseed oil on hand during the winter months and reapply as needed. It’s one of the best home remedies for dry skin on your face because it can even be used for acne prone skin. 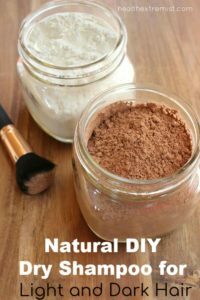 – This is a great home remedy for dry skin. It is very moisturizing, will reduce any dryness and make your skin soft. Honey also contains many vitamins, antioxidants and has antimicrobial and antibacterial properties. You can apply honey as a face mask, using about 1 tablespoon of raw honey and leave it on for about 15 minutes, then rinse off with warm water. Even just applying honey a few times a week will greatly reduce any dryness. – Applying yogurt to your skin will leave your face moisturized and also fight breakouts and prevent wrinkles. According to a NYC Dermatologist, applying yogurt to your face helps soften and moisturize your skin. Just apply the yogurt to your skin and leave it on for about 15 to 30 minutes and rinse off with warm water. You can apply it a few times a week or every day to reduce dryness. – Coconut oil is great for treating dry skin. It is super hydrating and will leave your skin soft and smooth. I like to apply coconut oil daily all over my body before I go to bed. Then in the morning I wake up with super soft skin and no dryness! Some say for even better results, to apply the coconut oil after you get out of the shower or a bath, as it locks in the moisture and is absorbed easier. – Take a warm bath, not hot, about an hour before bed. When you get out, lightly dry yourself and immediately apply coconut oil or another type of oil all over your body. Then put your pajamas on, preferably with long-sleeves and socks. Some also recommend wearing gloves to bed, too. The key is to put the clothing on right after you apply the oil this way it helps “seal” it in. Go to bed, and when you wake up in the morning you will have amazingly soft, moisturized skin! I’ve done this before, especially for my feet, because they get so dry in the winter and it works great, just like an overnight miracle! When I did it for a few nights in a row, my feet were so soft, it was unbelievable! It really does work! *You may want to use pajamas that you don’t especially care about because the oil is going to get on them with this method. – Aloe Vera is very soothing and hydrating for dry skin. It has also been said to help slough off the dead layer of skin cells if your skin is flaky. Aloe Vera is also very healing! If you have an aloe plant, you can just cut off one of the leaves, split it open, and apply the gel you find inside on your skin. If you don’t have the plant, you can also get 100% pure Aloe Vera gel. Just apply the gel to your skin and you will notice a difference immediately after rubbing it on. You can reapply once or twice a day as needed. 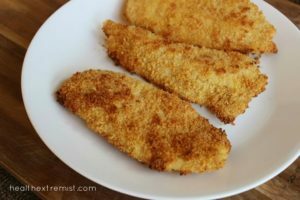 – Consuming foods that contain omega-3 fatty acids can help improve your dry skin. This study found that those who consumed omega-3 rich foods such as flaxseed oil 2 times a day, had significantly improved skin compared to those who took the placebo, resulting in no improvement in dry skin. Try adding foods such as fish, chia seeds, flaxseeds, avocado and nuts to your diet. 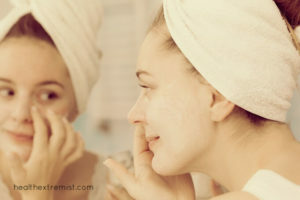 – One of the simplest home remedies for dry skin without having to apply anything to your skin, is to plug in a humidifier, preferably in your bedroom. Humidifiers will help keep the air in your home moist so that your skin won’t get dried out from the cold weather or the heating source in your home (which can result in dry air). I came across this humidifier and it looks amazing because in addition to being a humidifier that kills 99.9% of the bacteria in the water used, it also contains a HEPA filter (I’m still saving up for it because it’s pretty pricey). But, any humidifier will work! 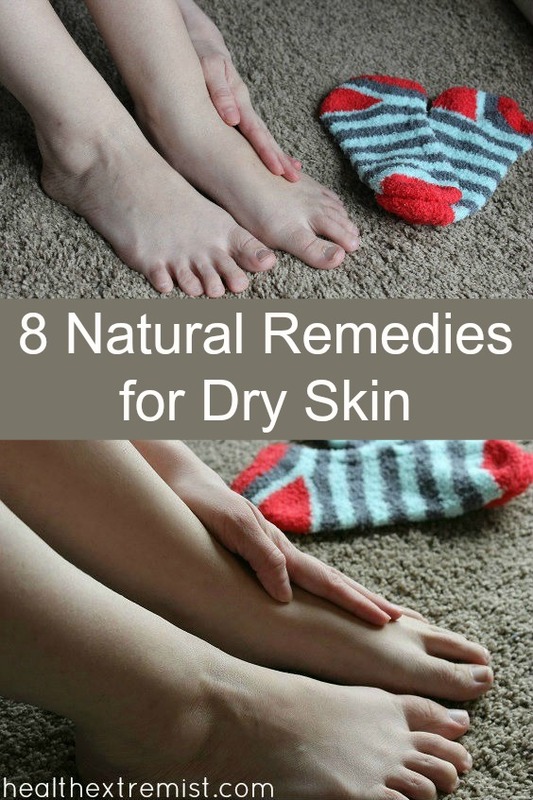 Hope you find these natural remedies for dry skin helpful! If you’ve found anything else that works, please share with us in the comments. Good tips, i will show your blog my wife. Thanks! Interesting…I’ll have to try the coconut oil. How do you best liquefy coconut oil? Warm up on the oven? I put it in the oven or place a cup of it in a pot of hot water. It warms just from holding it in your hand. Your body temp Melts it! Yes – I realized that after seeing the oil soften up last summer in my warm house. Since the melting point is less than our body temp – bingo! The coconut oil as a moisturizer works great. I have used Aloe Vera to combat my dry skin. It helps to a degree. It helps to keep my skin smooth.It does not seem to be absorbed by my skin but instead lays on the surface. It hydrates a little, not like some of my face lotions though. Have you tried using oils like coconut oil or jojoba oil? They’ve helped my dry skin a lot.